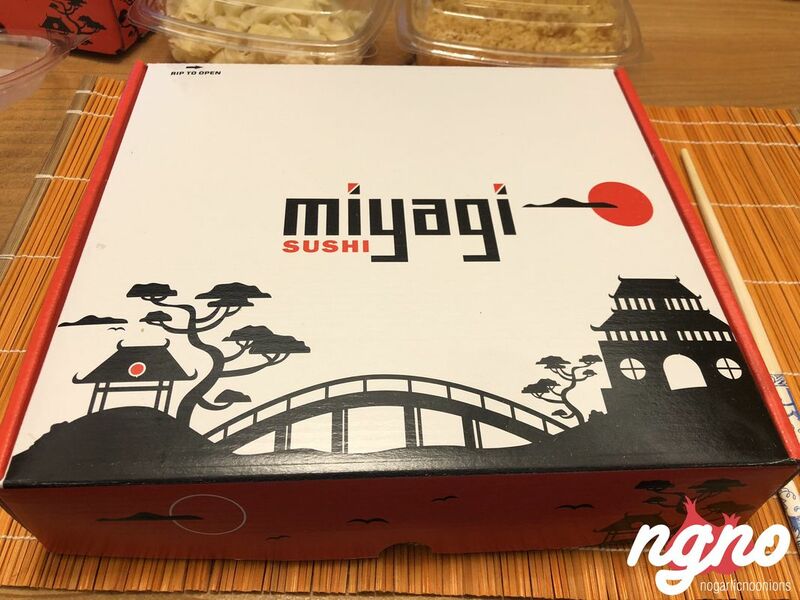 Since Miyagi proposes Shisha with sushi, I decided to order some Japanese rolls home. 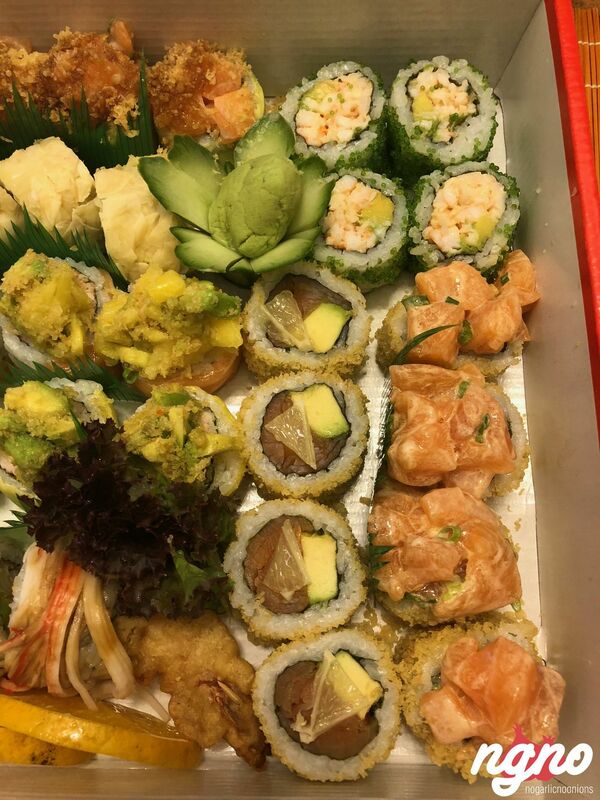 Served in a carton pizza box, the sushi looks generous but a bit commercial with plastic sheets and lots of lettuce. 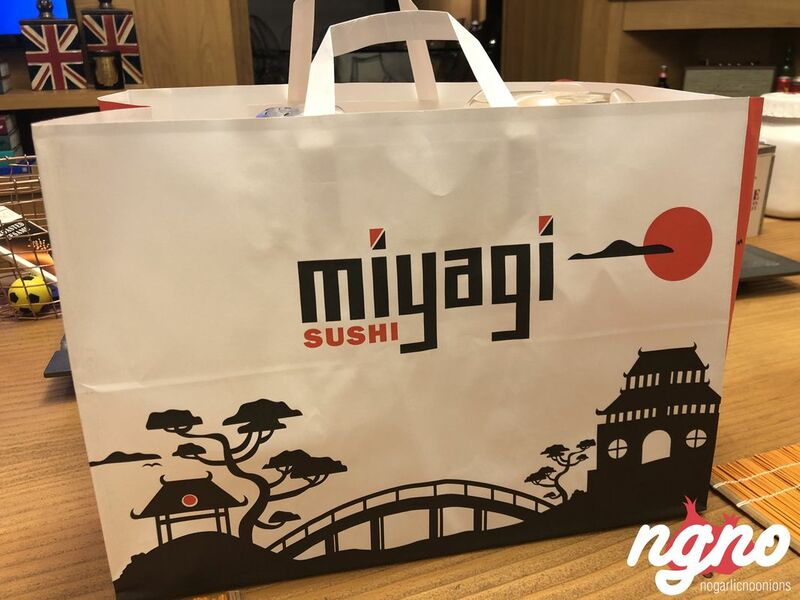 Anyway, I enjoyed the first impression, a big box of crisps, two bottles of soy, spring onions and seaweed served on the side. 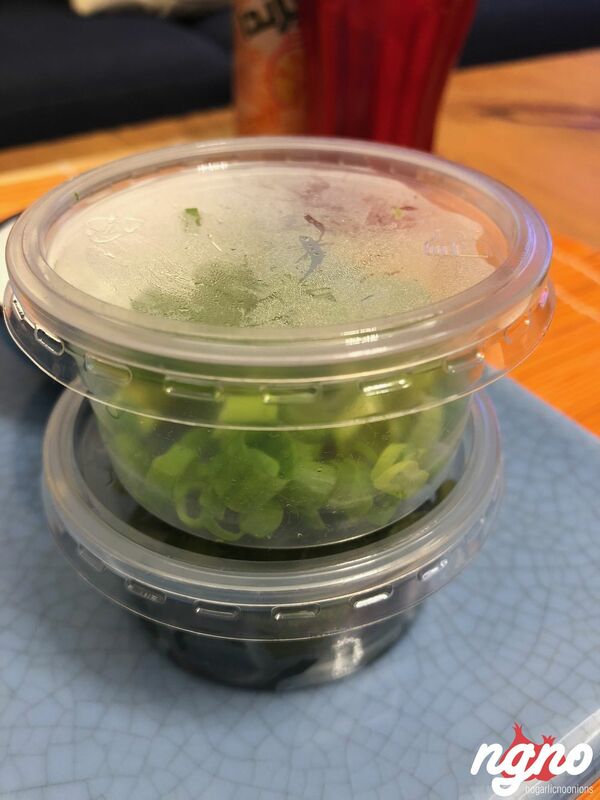 Even though the boxes look like the ones at Pizza Hut, I was excited to try the seafood quality. 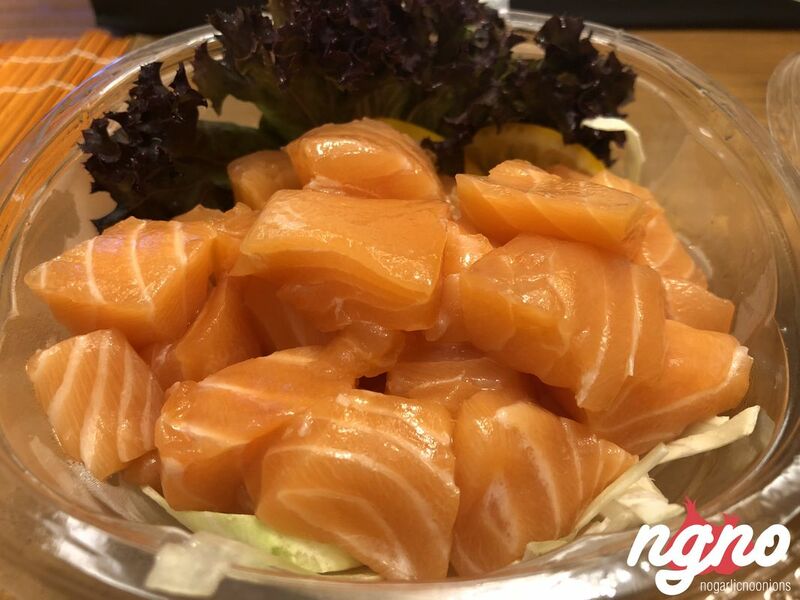 The salads to start, fresh salmon cubes ready for their crisps. 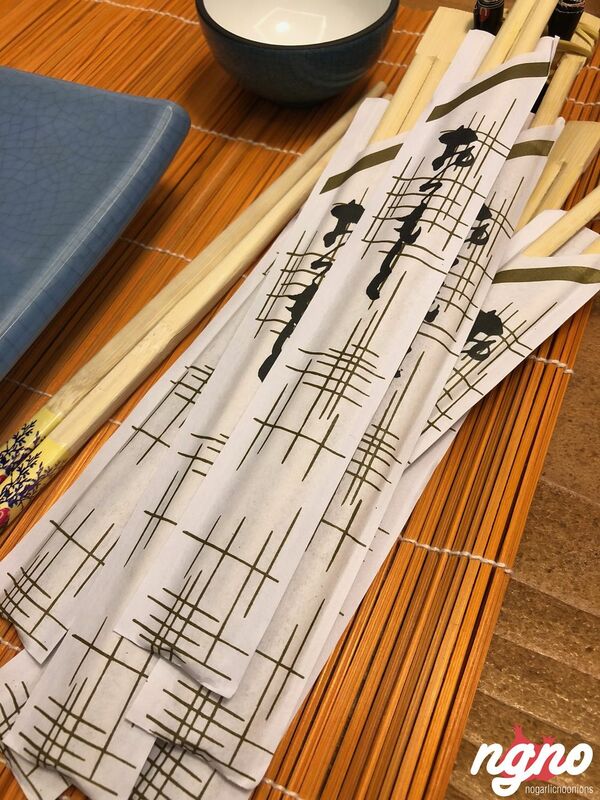 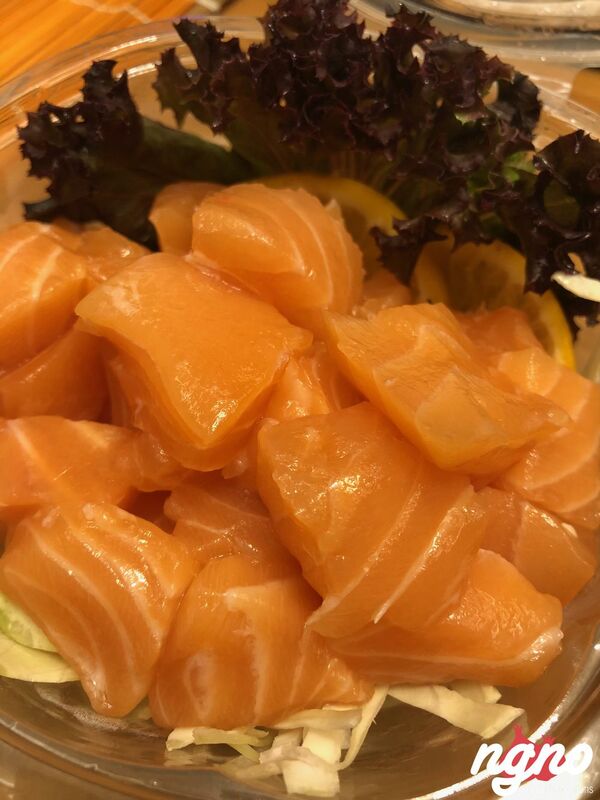 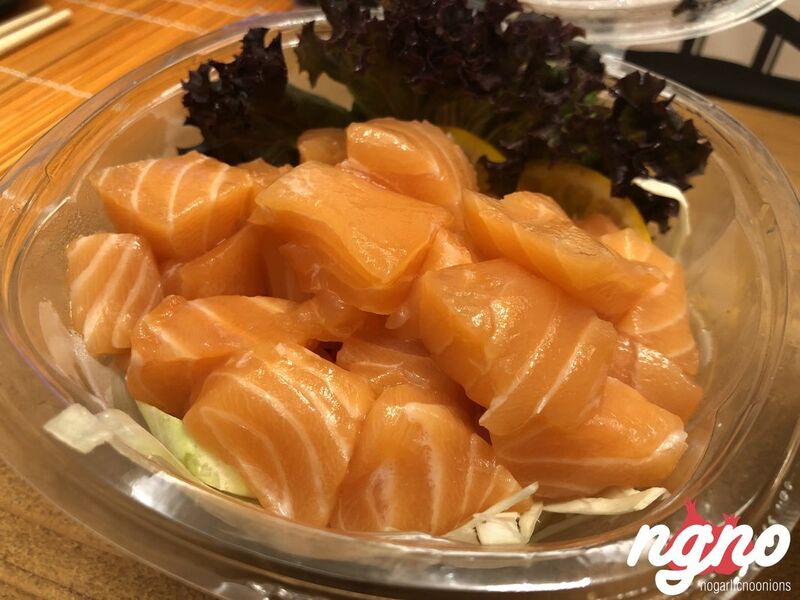 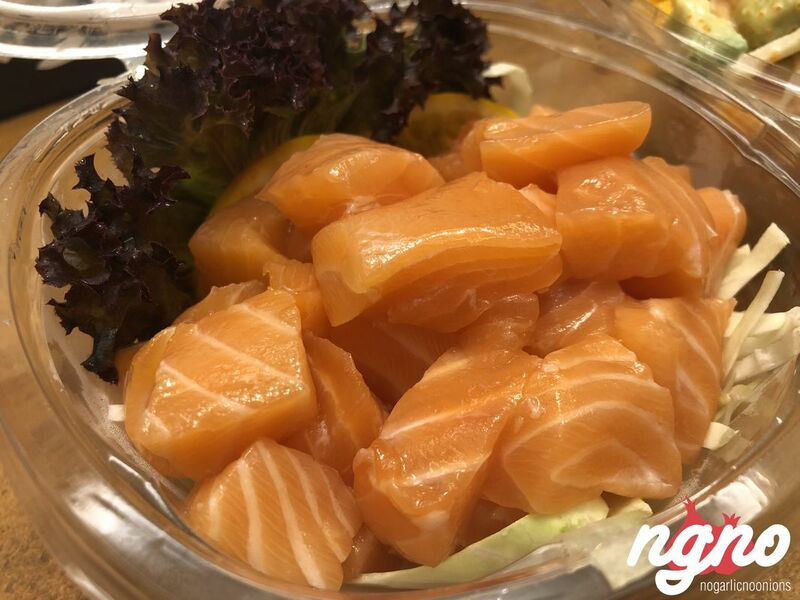 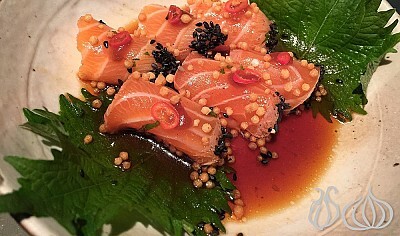 A light crunch, a fresh taste and clear smell, the salmon quality is very good. 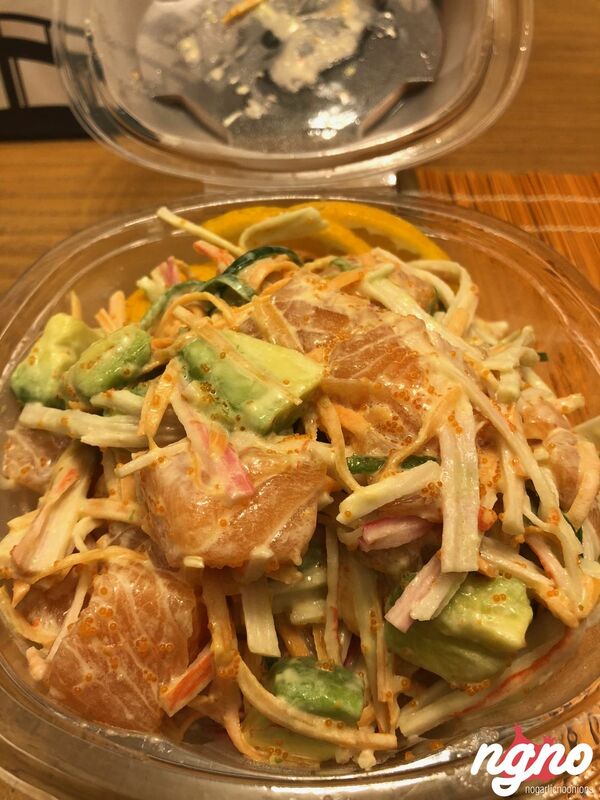 The salmon and crab salad with avocados and mayonnaise is one I liked as well. 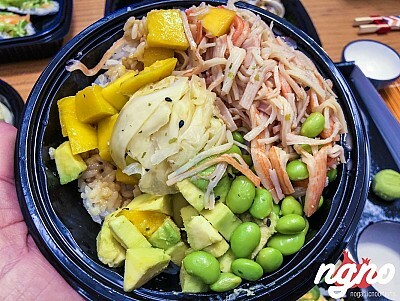 Fresh, crunchy and balanced. 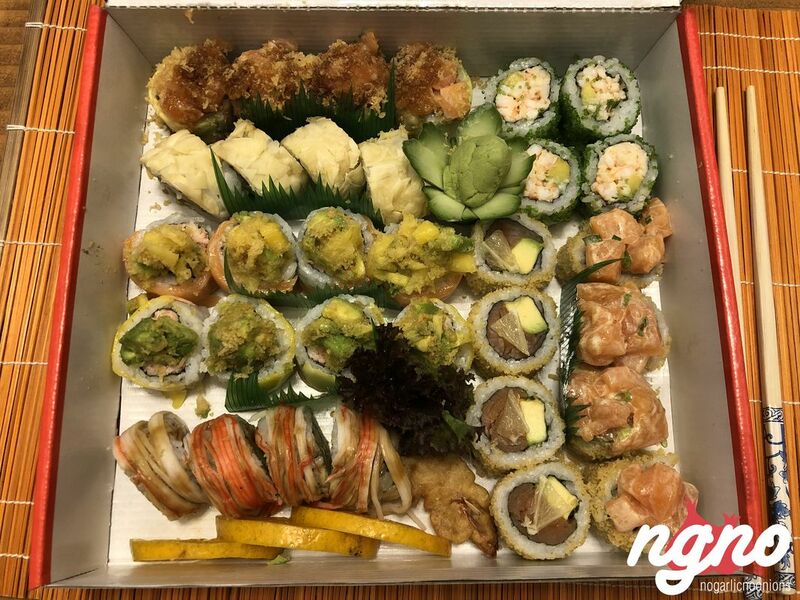 The rolls, good quality rolls, some warm and some cold, a hard-textured rice, not sweet and not soggy with a mix of seafood and crisps. 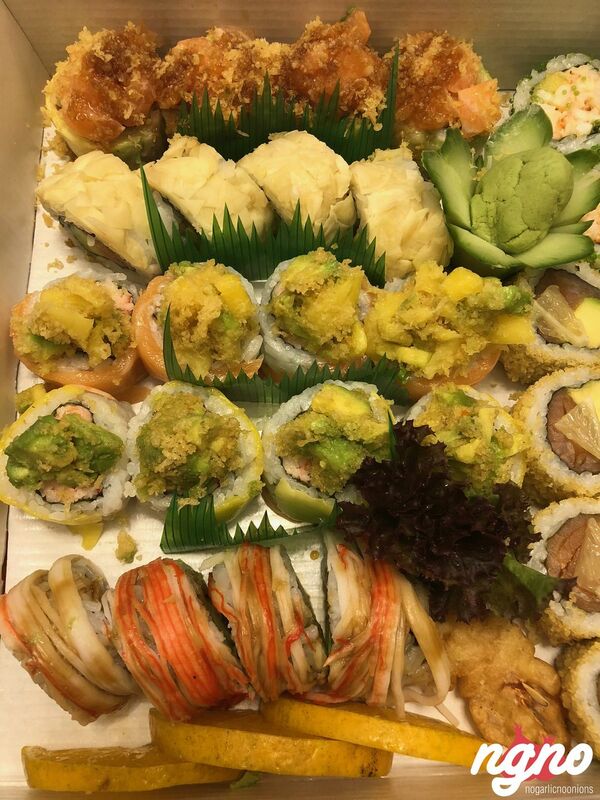 I enjoyed the flavor profile, the ripe avocados, the sweet notes here and there and the creative side of every roll. 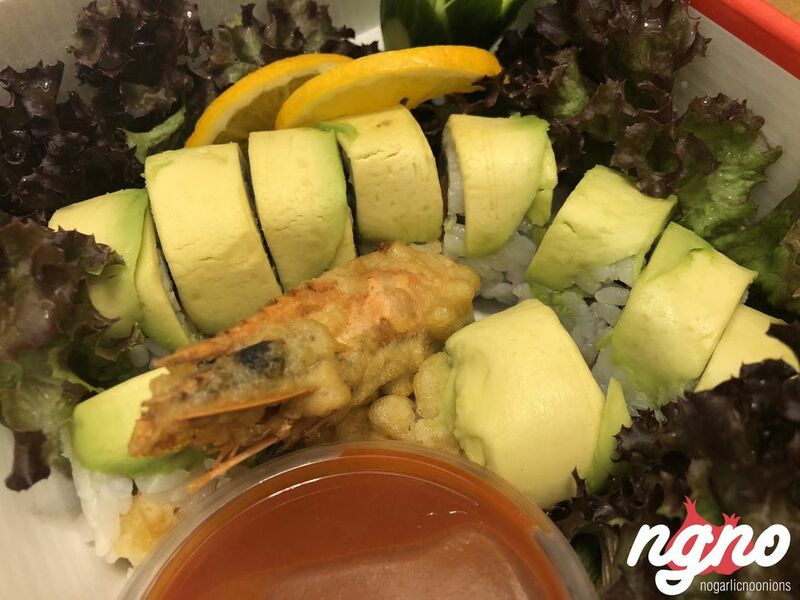 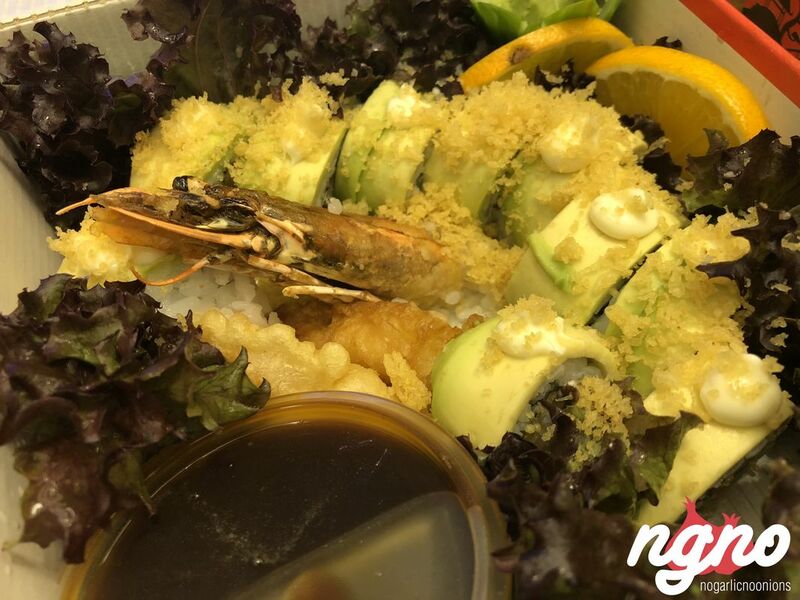 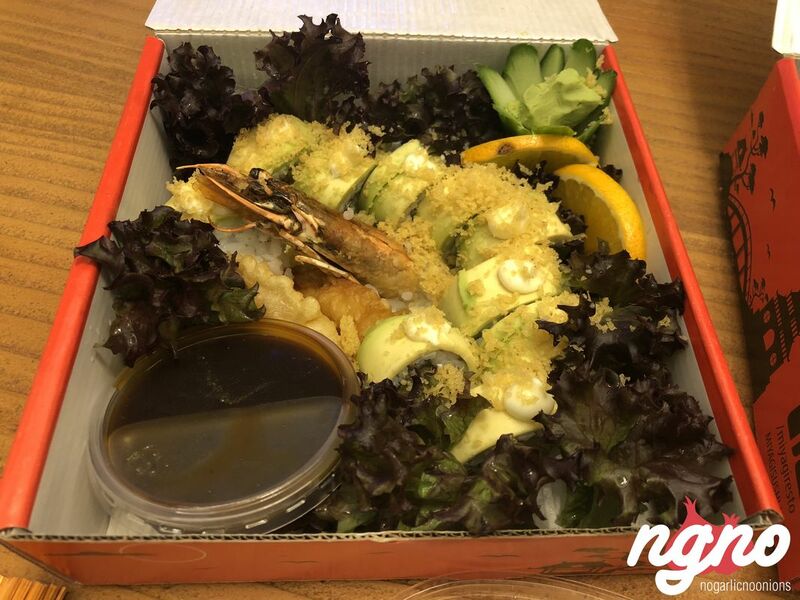 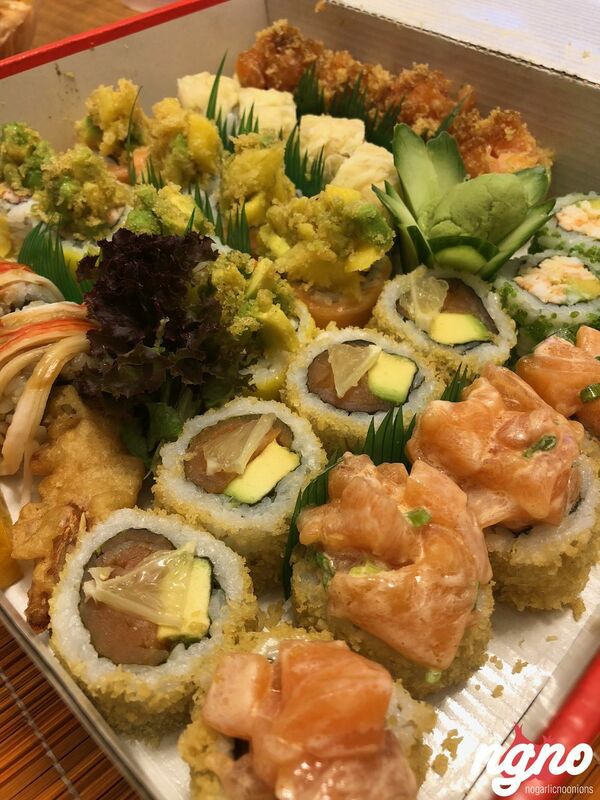 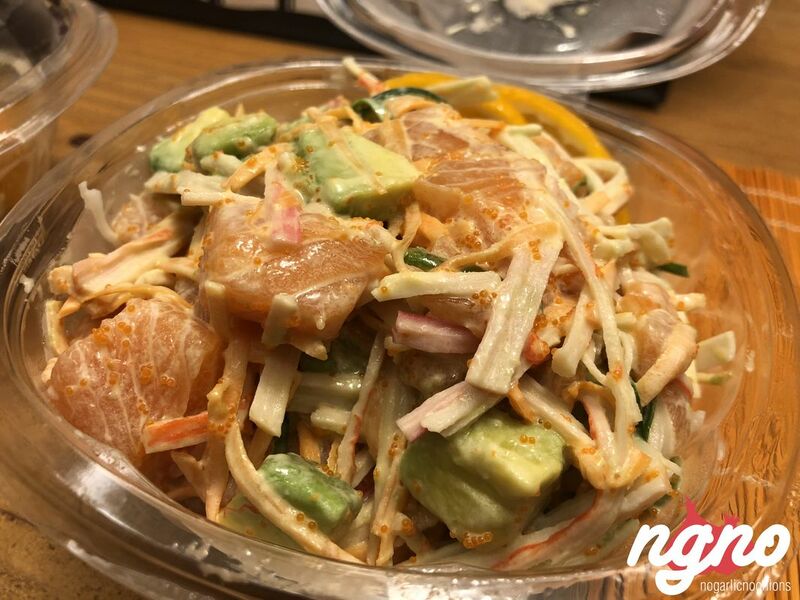 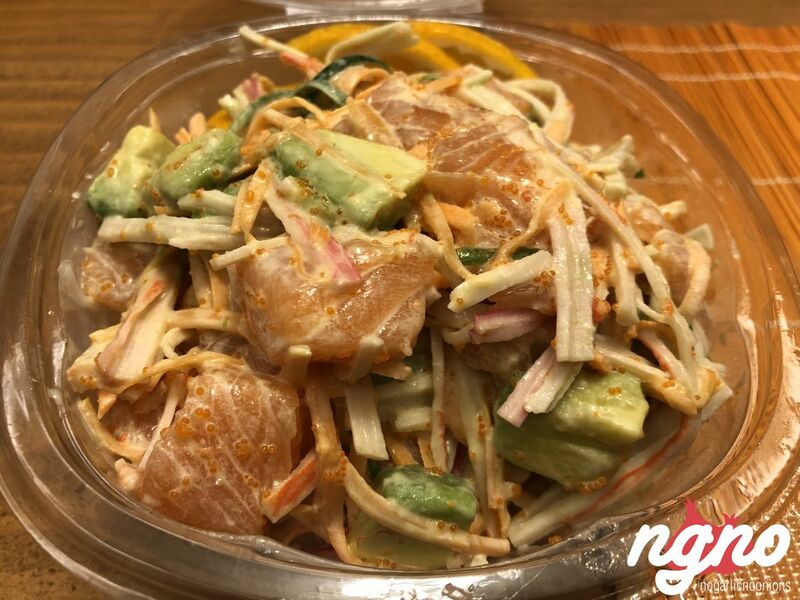 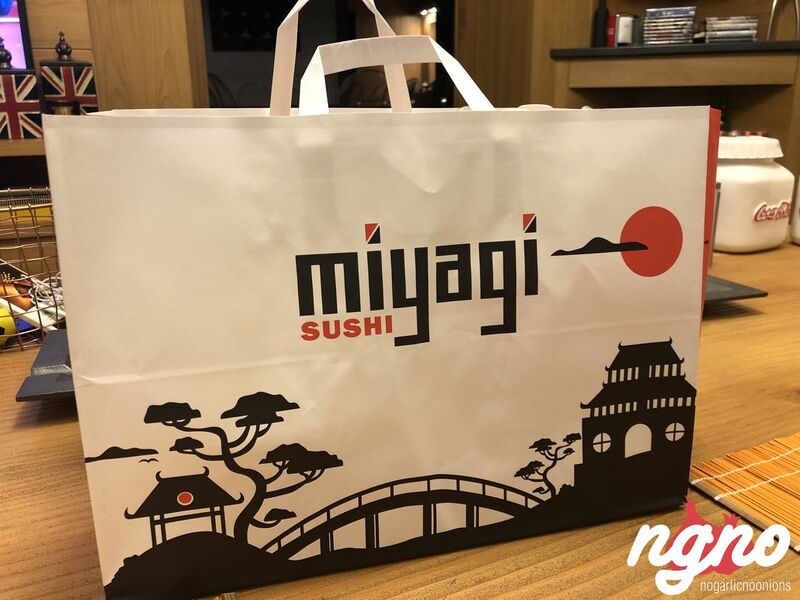 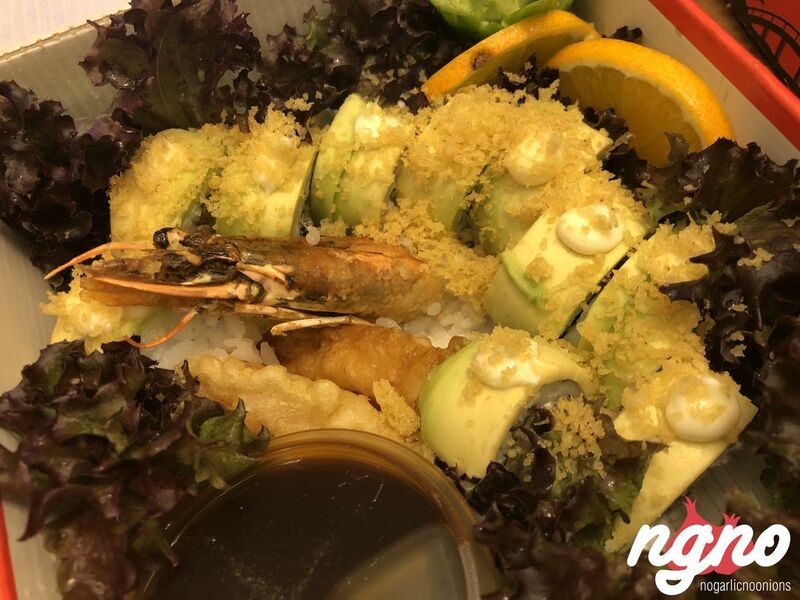 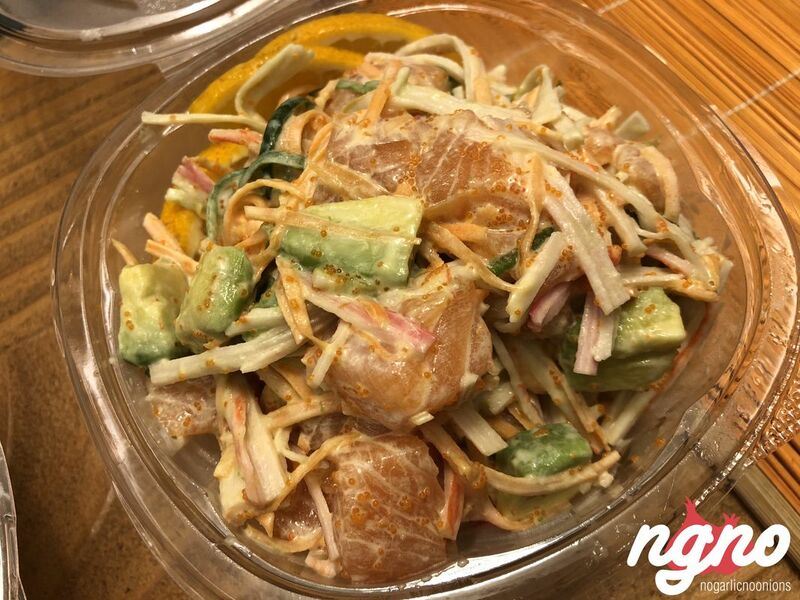 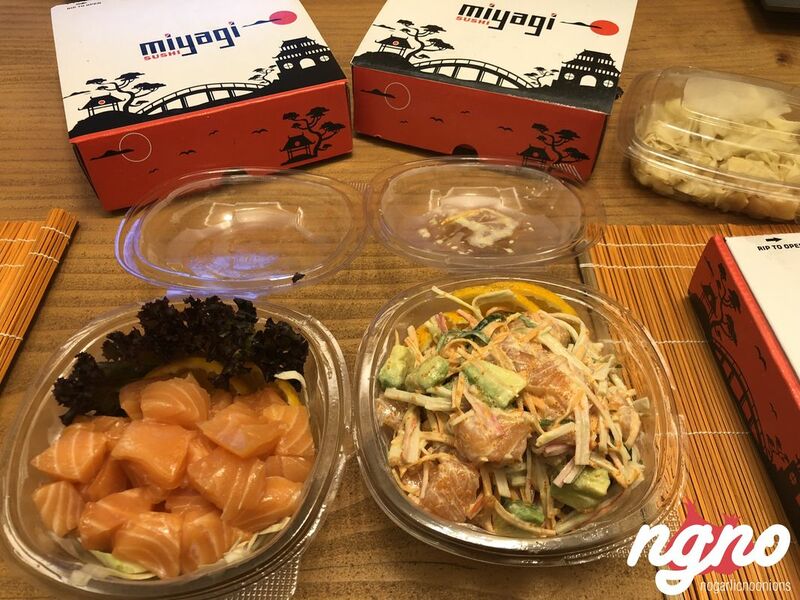 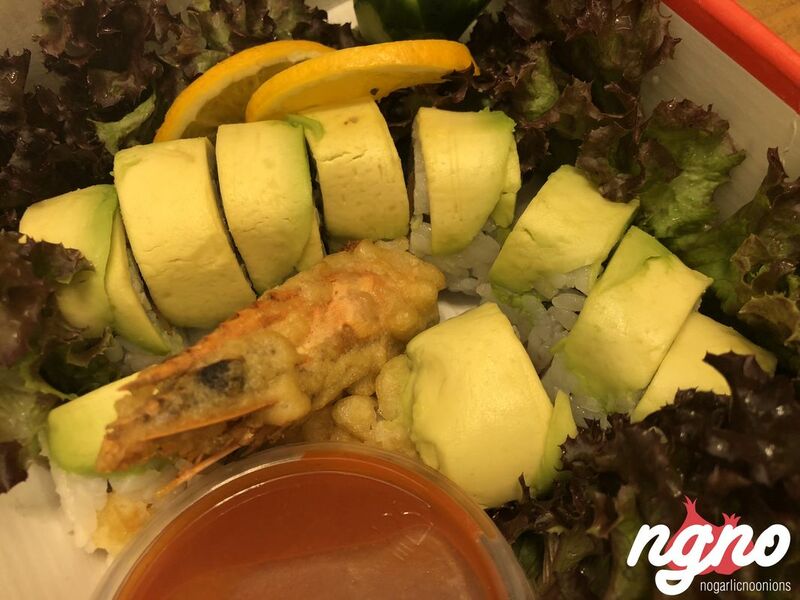 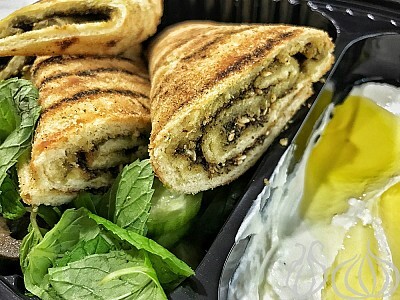 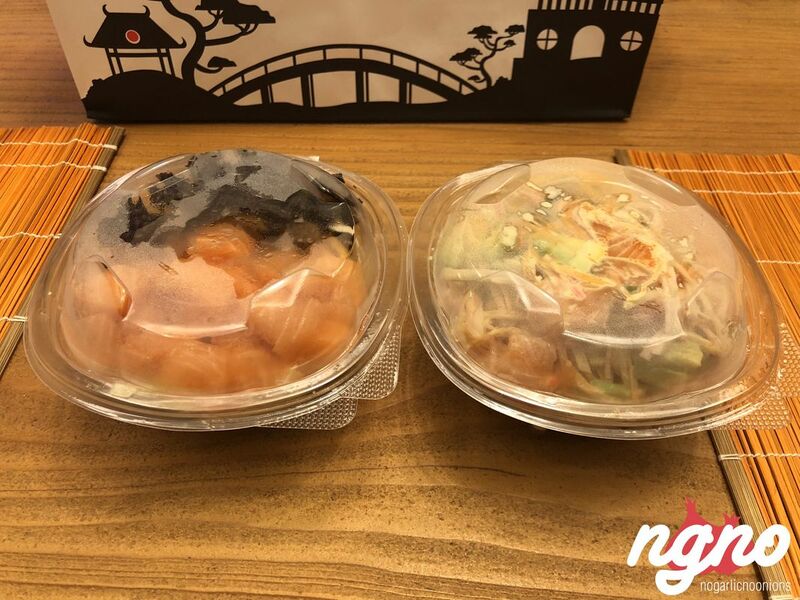 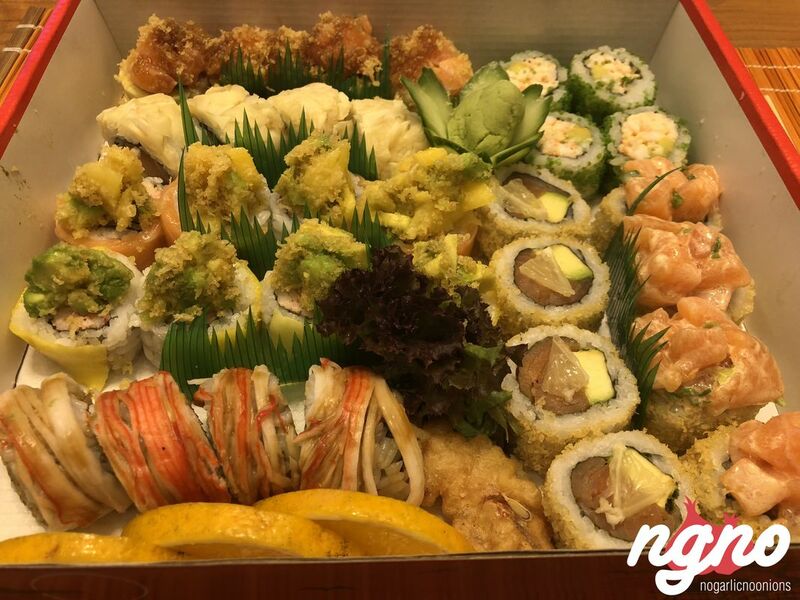 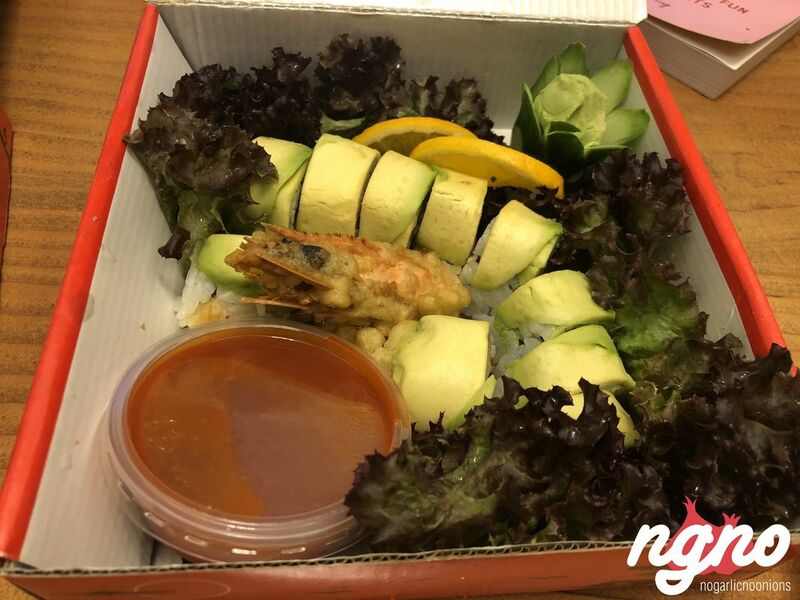 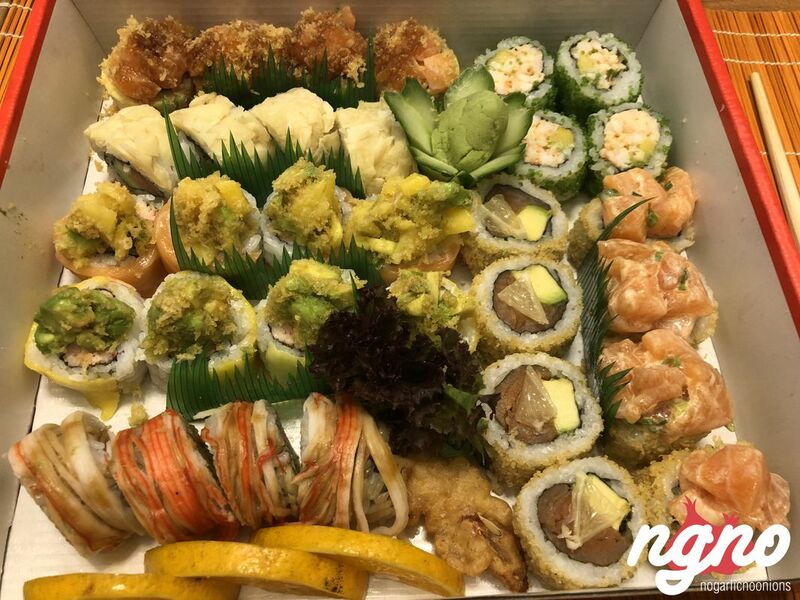 For the price paid, and a ten percent discount tonight, Miyagi is an affordable casual sushi restaurant that’s -unfortunately- only good for delivery: sushi and shisha is the biggest mistake ever, not allowing this concept to grow. 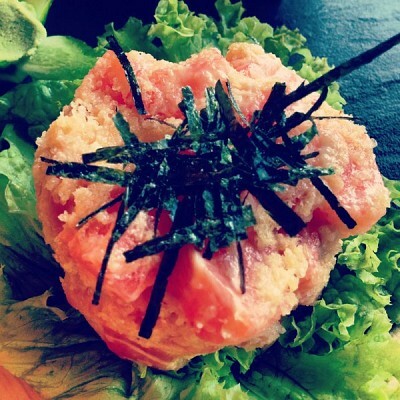 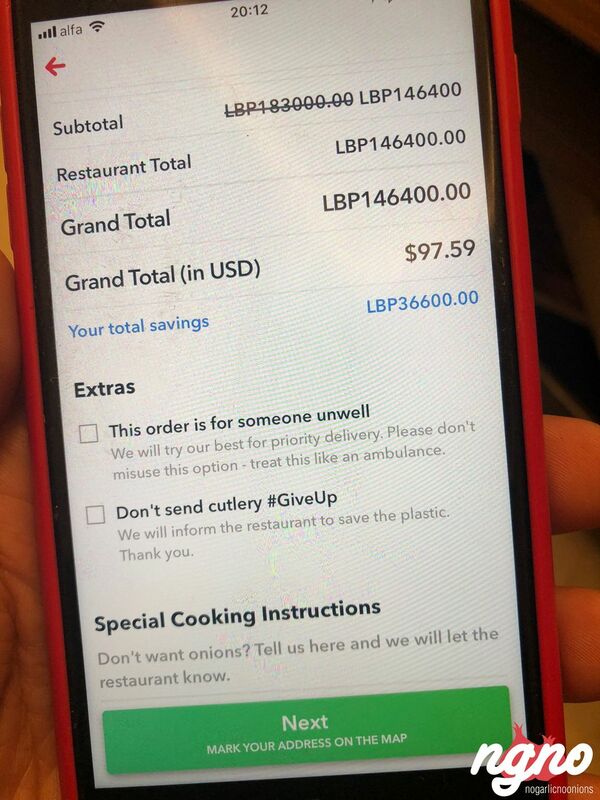 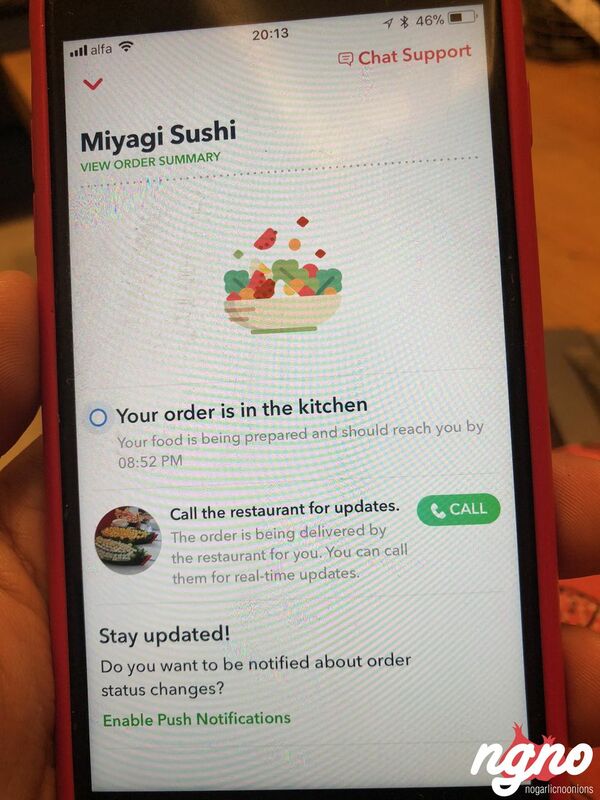 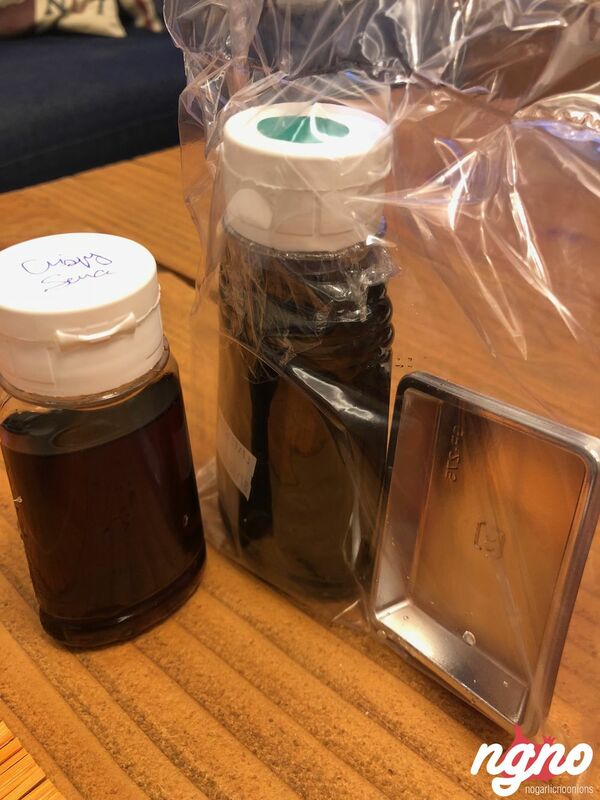 I ordered sushi with low expectations, ended up enjoying them and already planning another order. 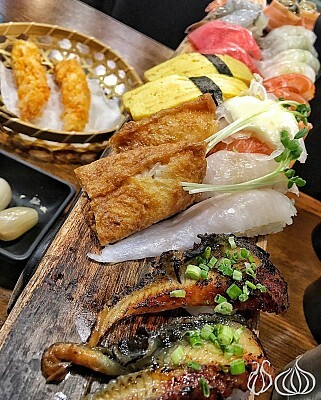 Rich, generous, colorful, tasty and affordable.